When CD Projekt Red announced Cyberpunk 2077 all the way back in 2012, many fans, including myself assumed the game would keep the third-person perspective of the studio's last game, The Witcher 3. To the surprise of many, we recently found out that the vast majority of the game will instead have a first-person view. 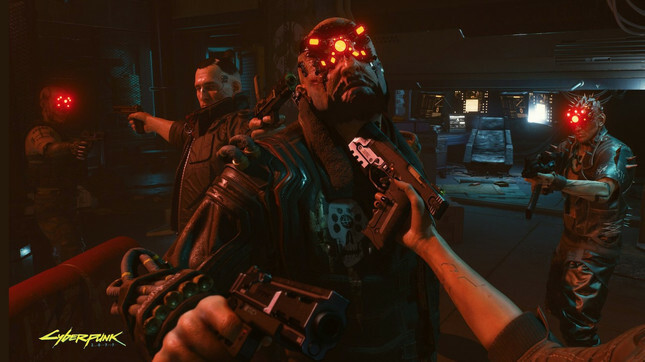 CD Projekt Red have their reasons for this choice, with an added focus on fully immersing the player in the hyper-detailed world of Night City, the amount of interaction they want players to have just wouldn't have been possible from any other view. Having seen the incredible gameplay footage, I'm more than inclined to agree with the decision made, but there are still those who are unhappy about not being able to see their customised character throughout the sprawling RPG. In a chat with DualShockers, quest designer Patrick Mills stated “We are firm in that decision. However, we’re very aware that a lot of people don’t like first-person, and there is a small number of people who can’t play first-person for a variety of reasons”. Mills did however say that the studio is looking into accessibility options for those who struggle with FPS games. What do you folks think? Happy with a first-person perspective or is it a deal-breaker? CDPR's next RPG sounds daunting.